Registration will open on January 1, 2016. Register early — all races are capped at 200 participants. 2015 Series Awards Are Coming… We Promise! We’re still waiting on the special awards for the kids who completed all three races in the 2015 Tar Heel Youth Triathlon series. Our sincerest apologies for the long wait! Fleet Feet ordered them but the printer made a mistake so we had to start over. They should be coming in any day now and will be available for pickup at the Fleet Feet Carrboro location. If this is not convenient for pickup, please contact us to make other arrangements. Check Out the USAT Mid-Atlantic Youth Series Final Standings! Final standings for the 2015 USA Triathlon Mid-Atlantic Youth Series are now posted! 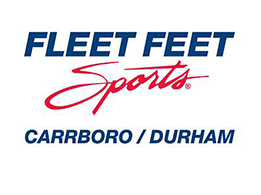 All three races in the Tar Heel Youth Triathlon Series were included in the regional series. If your child completed two races, they are eligible for points. The top 10 point scorers will receive awards. Please check the final standings here.